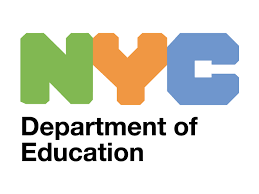 Now part of Region 9 of the Instructional Leadership Divisions, this Manhattan district worked in partnership with Math Solutions from for several years. Anthony Alvarado, the district’s Superintendent when we began the project, sought help from Math Solutions Professional Development with the ultimate goal of developing a cadre of K–6 staff developers and, eventually, site-based teacher leaders within the district. To accomplish the district’s objectives, Math Solutions worked collaboratively with Lucy West, then the Director of Mathematics, using a large grant provided by the National Science Foundation. For eight summers, the district hosted Math Solutions summer five-day courses and a variety of one-day sessions designed to address specific district needs, funding the latter years with a National Science Foundation grant. Math Solutions consultants worked regularly during several school years in various schools. Many administrators attended one or more sessions or courses, and specific sessions were presented to all administrators on several occasions. In the spring of 2000, Anna Switzer, then Principal of P.S. 234, reported that students in her school scored extremely well on performance-based tests. The newer tests were different in that the problems in context required an array of problem-solving skills. These more complicated problems also required multistep processes to solve. Anna said that the improvement in test scores was indicative of students’ extensive experience in problem solving along with practice in communicating their math thoughts, either verbally or in writing—skills fostered by teachers who received staff development support from Math Solutions Professional Development. In 2003–2004, work in Region 9 continued with K–8 math coaches and teachers. The Math Solutions professional development included a series of 14 connected one-day sessions during which the coaches and their teachers had a unique opportunity to interact cooperatively in an engaging environment. Their work focused on topics such as fractions and number sense and on incorporating the district’s adopted curricular materials.